This photo of a woods fern (Thelypteris sp.) branch was taken at the Kanapaha Botanical Gardens. 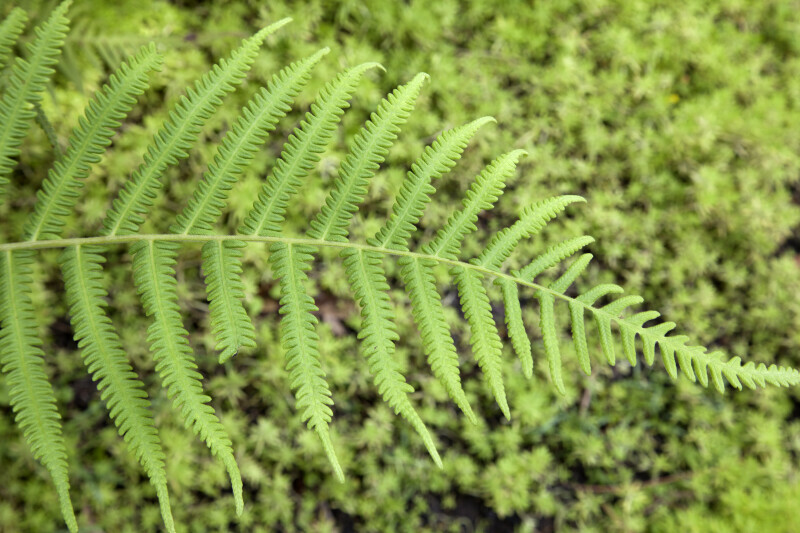 Ferns produce via spores and have no flowers or seeds.